In the Kitchen, 16 X 20 inches, mixed media on canvas. 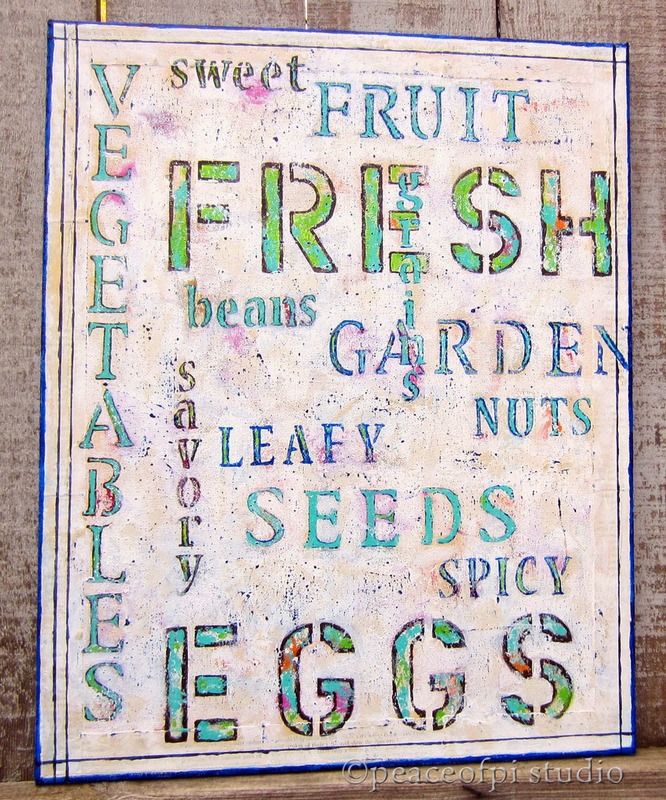 This fresh painting is created in layers, combining blocky typography and words for cooking in the kitchen. The lettering is inspired by vintage signs and the colors- turquoise, bright green and creamy off-white bring together happy feelings of fresh food and a home cooked meal.